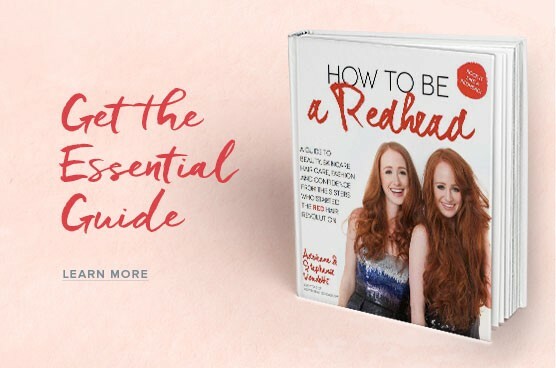 Back in September, we launched the How to be a Redhead Podcast. 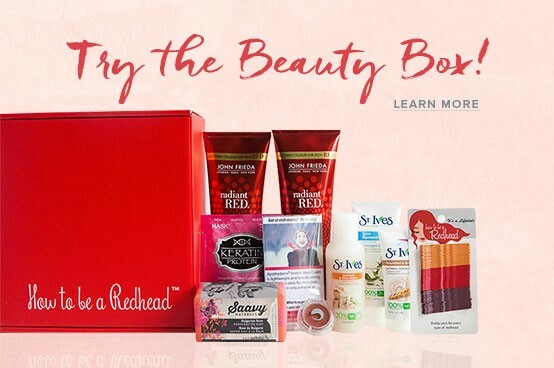 Its focus is on everything redhead –– makeup, skincare, confidence, fashion and lifestyle. We’ve had some amazing expert guests on from celebrity makeup artists to world-renowned dermatologists. Since the podcast launched, I even catch myself doing some of the tips from the guests we’ve had on — so I figure our audience must be doing the same; or at least curious on how to do certain things. 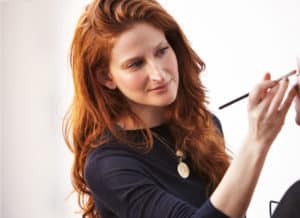 I thought I’d, as the co-founder of How to be a Redhead, share my favorite tips from each guest and how I incorporate it into my very own daily redhead beauty routine. I picked up her favorite eyebrow product, MAC Cosmetics’ Veluxe Brow Liner in ‘Redhead’. It’s not that I had forgotten about this product — I ran out a long time ago and never replaced it. Julie, my eyebrows have thanked me since, so thank you! I learned about the skincare brand, NIA24. The entire NIA24 line is super ‘redhead friendly’. My two favorite products are the Intensive Moisture Double Serum and Intensive Recovery Complex. NIA24 was featured in the December 2018 H2BAR Box and may be featured in a few more beauty boxes this year! 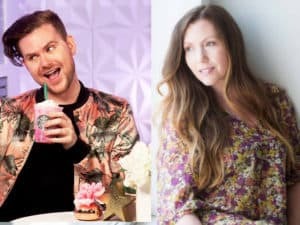 These US Weekly beauty editors were a wealth of knowledge. Christophe Robin’s Shade Variation Care Nutritive Mask in Chic Copper has been a staple in my hair care routine. I loved Gwen’s tip on putting a detangler in her hair and then applying the mask on top. I tried this and my hair felt super hydrated and vibrant. And, who knew eye patches could go in the fridge?! This professional Brand Strategist and Leadership Consultant shared her love for Kevin Murphy products and we were so happy when she did. The entire Kevin Murphy line is addicting and amazing. I had to listen to this episode two more times after recording to get all of celebrity makeup artist, Katey Denno’s tips. Her list of ‘redhead friendly’ lip shades and skincare products will have you adding to your Sephora and Credo cart. I started to wet my eyeshadow brush before applying and I can definitely see a difference. It gives the shadow a more intense, creamy finish. Reba’s makeup artist, Brett Freedman, made me realize I was applying way too much concealer. I now only dab where needed, but concentrate on the inner corners of the eye. I also started to apply a touch of hand cream over my makeup and he’s right –– it does make the look dewier and last longer. After talking with the fabulous actress, Christiane Seidel, I learned I needed to up my face mist game. She discussed her two favorites: Heritage Rosewater Mist and Tatcha Dewy Skin Mist. Allison, thank you for teaching me to tone down my foundation. Highlighters have become my best friend, as well as Drunk Elephant – C-Firma Day Serum. 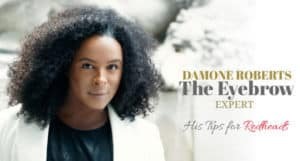 I think celebrity eyebrow guru, Damone Roberts, would be proud of my brows since we last spoke. I grew them out a bit, switched to a new eyebrow person in my local area and use his eyebrow tint daily. 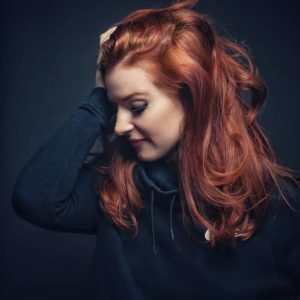 Redheads, if you haven’t done so already, you’ll want to listen to this episode a second time. Susan is a world-renowned holistic health, beauty and wellness guru. I am always captivated when Adrienne and I speak with her. Her five-step skincare routine is life. 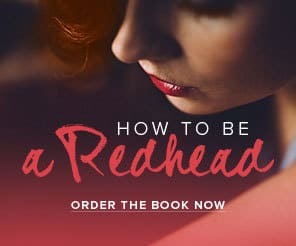 Find the How to be a Redhead Podcast on iTunes, Stitcher, Google Play and SoundCloud!